Queen duvet cover (88" x 88") featuring the image "Sweet And Wild In Turquoise And Pink" by Lil Taylor. Our soft microfiber duvet covers are hand sewn and include a hidden zipper for easy washing and assembly. Your selected image is printed on the top surface with a soft white surface underneath. All duvet covers are machine washable with cold water and a mild detergent. Thank you, Sarah! I'm honored! Thank you, Christopher! I will do that! Thank you... I'm honored, Christopher! Beautiful, Lil! 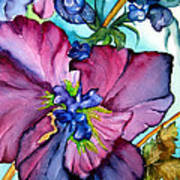 Voted, Like and Pinning on my Watercolor Paintings board and my Floral Photos and Art Images board on Pinterest. THANK YOU TO THE BUYERS IN GODALMING, SURREY, UK!! I know you'll give this beautiful piece a wonderful home! Thank you, Sharon!! How nice of you to comment and visit my site! I so appreciate it! Wow! This is an absolutely gorgeous flower. The application of color is fantastic. Thank you I'iana for the sweet and descriptive compliment!! Thank you also, Robert for the feature in FAA Featured Images! Thank you, Cindy!!! I'm so happy you like it and hope you have a great day too!! 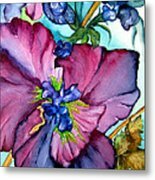 Dora, thank s again for the wonderful feature in the fantastic group, "Visions of Spring"! Thank you so much, Madalena for the feature!! Thank you again for the feature! And even moreso for the nice comments!! Nice to hear from you, Juergen. How sweet of you!! Alana, Toni and Peggy, thank you so much for visiting and commenting on this painting because it gave me such a wonderful opportunity to visit each of your sites and they are just spectacular. Each of you have a different personality, vision and dimension but you each are unique and special. Thank you so much! 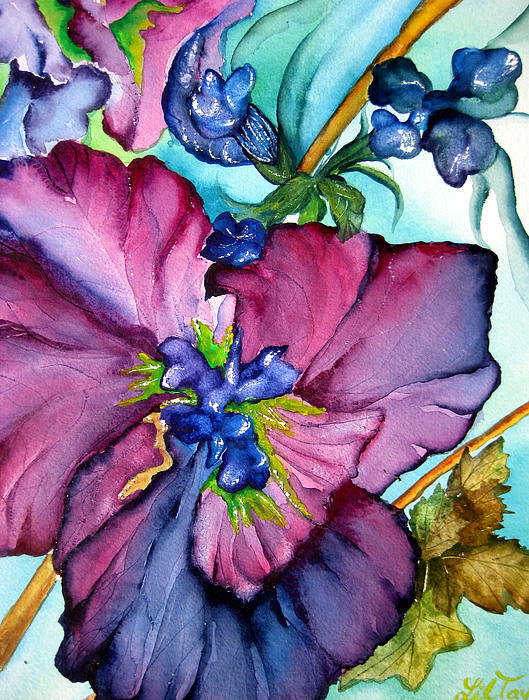 Love the colours, composition, depth.... beautiful work, Lil, as are all your watercolours. Well, this original watercolor began as a painting of some wildflowers I saw. The end result resembles the wildflowers only in the outlines of the petals. I went off on a tangent with this, including different colors than I usually employ. It is a free, loose painting and the result is extremely unstructured. I hope you enjoy it as it was a fun wildflower painting for me and is signed on heavy cold-pressed paper, unframed.